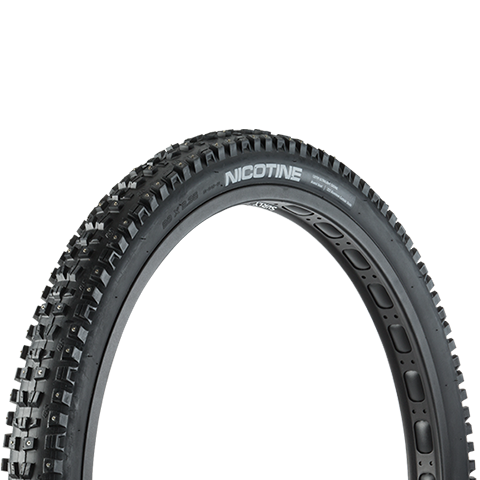 The first high-performance mountain bike tire with concave studs. 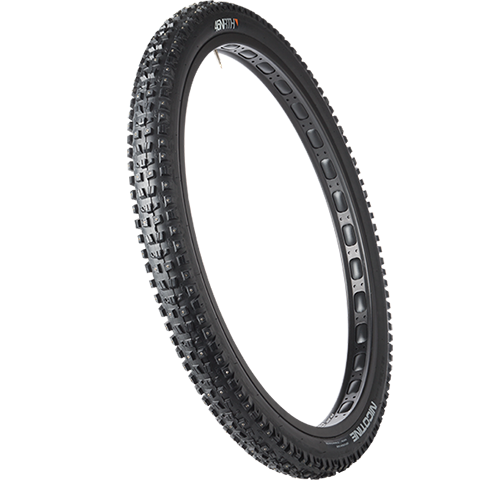 The high volume 2.35” casing profile adds float on packed snow, while also adding a flatter contact patch for incredible traction and stability. 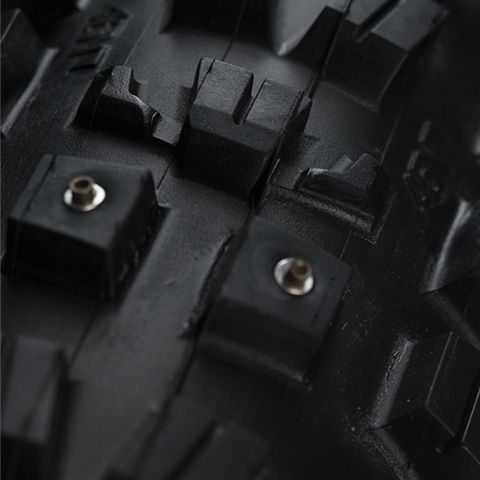 The tread design of the Nicotine uses siping and open space between lugs to grip and shed snow. 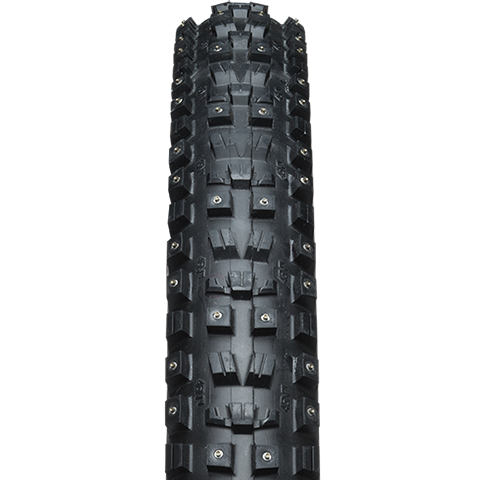 222 lightweight studs with a concave carbide tip and aluminum base are carefully placed across the casing to provide extra assurance when the surface turns icy. Available in 120tpi studded and 120tpi stud-less versions. Using the same two-piece construction method as the standard carbide-aluminum product, this stud features a carbide tip with a concave shape on the crown. The concave crown creates a very sharp attack angle to the surface, resulting in an unparalleled amount of traction. Any wear that occurs to the carbide crown creates an even sharper edge – continuously augmenting acceleration, braking and cornering performance as it ages. Tiny grooves on large tread lugs create more edges for grip. These grooves also give the tire more flexibility to move over surface undulations, providing enhanced acceleration, braking and cornering traction while also creating a more comfortable ride quality. Siping has been used in the automobile industry for years to augment the performance of tires in winter driving conditions.